My friend who works at Altmetric asked me to make some cupcakes for her office, and I was only too happy to oblige! The only requests were for them to be chocolate and include the lovely swirly logo on top. 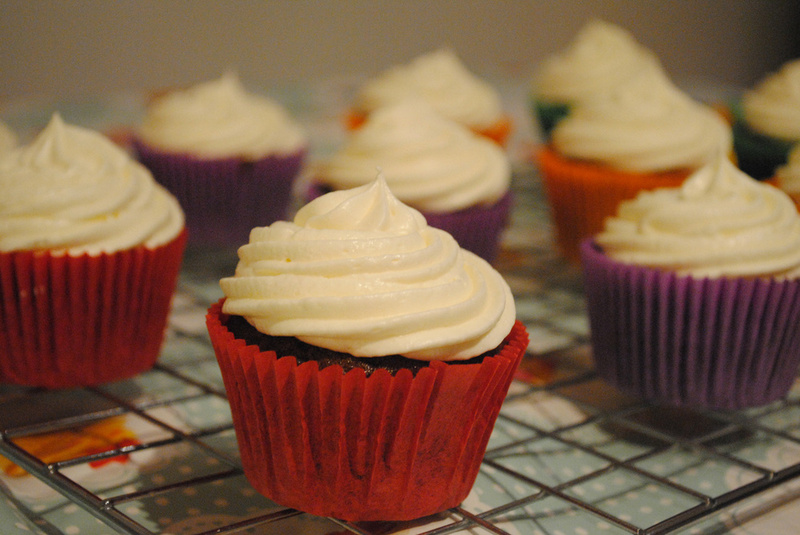 I started by making the chocolate cupcakes from the Hummingbird Bakery book - a reliable recipe that I've used plenty of times in the past. 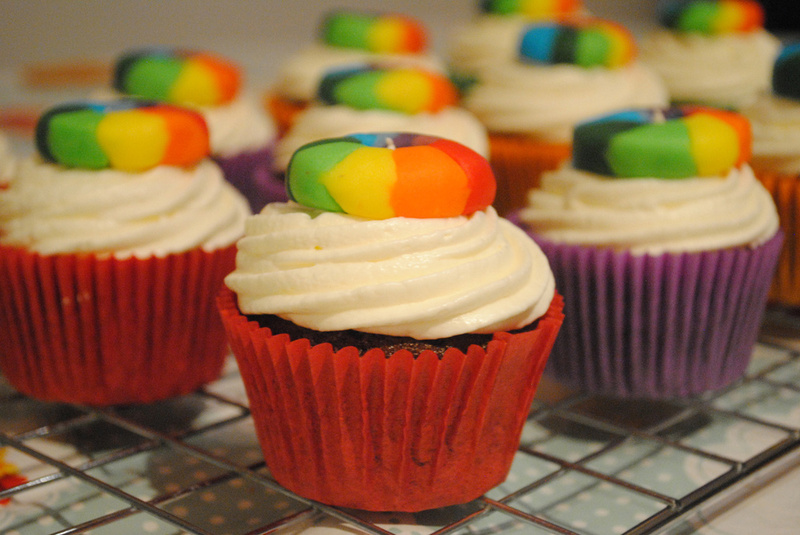 Since the Altmetric logo is so colourful, I used orange, green, red and purple cupcake cases to match. Once baked and cooling, I started on the frosting. As the logo is on a white background I made a marshmallow buttercream, which I made by mixing Marshmallow Fluff into vanilla buttecream. 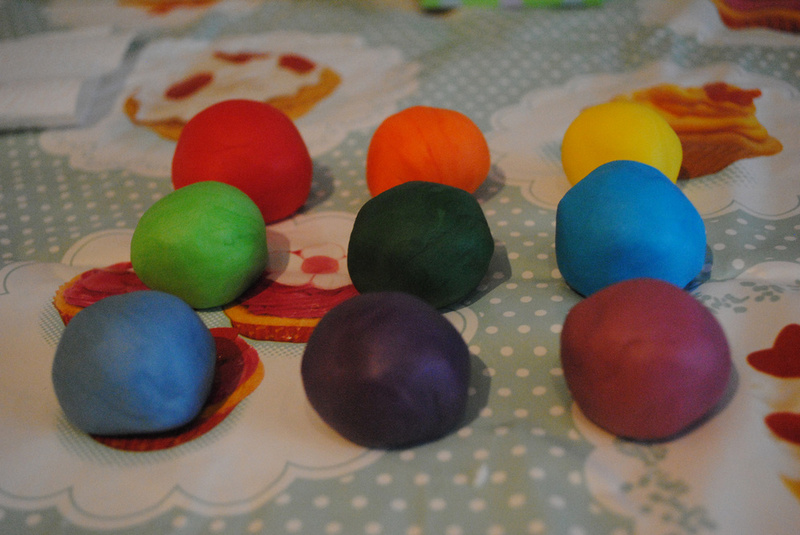 I rolled each of these balls into long, thin strips and stuck them next to each other before cutting the whole thing into strips, resulting in long strips with all of the colours included. 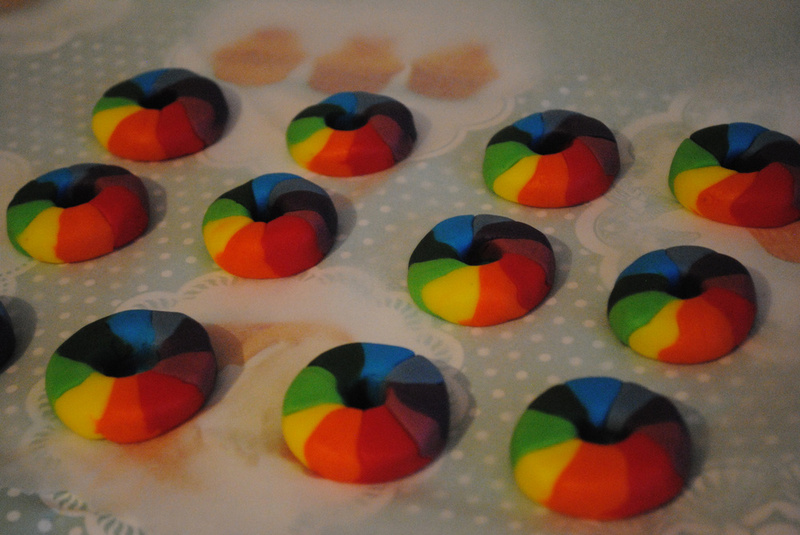 I then curled these around to make circles of the colours, and soon had twelve ready for the cupcakes. 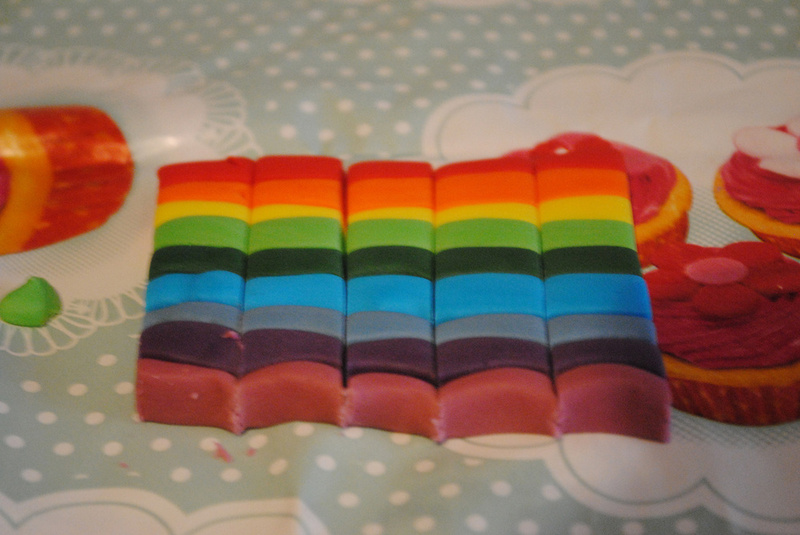 The logo itself has lots of lovely soft gradients, but you can't get the same level of subtlety with fondant. You could always use an edible printer, but it feels a bit like cheating for something like this. And I like the depth and texture you get this way - it incorporates the brand in the cake a bit more, rather than just plonking a printout on top. Then the final piece of the puzzle - adding the logos on top. Hopefully these cupcakes will get some positive metrics from the Altmetric team!